Wit. 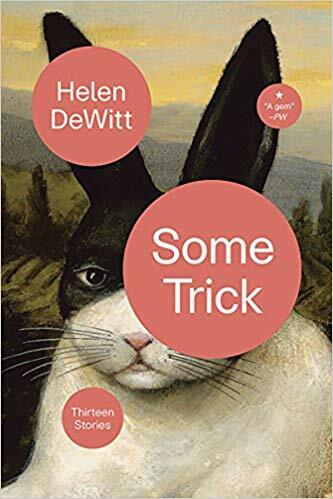 I have advice on how to approach reading the thirteen short stories in a collection by Helen DeWitt titled, Some Trick. I suggest you surrender yourself to her wit and follow wherever she takes you. Stop trying to connect how she went from the last paragraph to the next one. Enjoy her wit and insight and let her take you along for an enjoyable ride in each of these stories. She will introduce you to interesting people and you will come away with a fresh and positive view of human nature. Readers who enjoy intelligent writing will find lots of that in these stories. Rating: Four-star (I like it) Click here to purchase Some Trick from amazon.com.